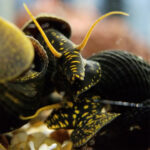 5 x Yellow Spotted Rabbit Snails – USA Breed – Invertz Factory – Specializing in Rare and Nano aquatic pets! ⤤ As stated in the title, this purchase is for a lot of 5 Snails. Size: We have multiple size options that can be specified below. Temperature: Our snails are kept at 80-84 Degrees. Provide these two critical components and you will give yourself a giant head start to creating a flourishing colony. Also keep in mind a well cycled aquarium that is plentiful with bio-film will encourage rapid growth for the colony as well. 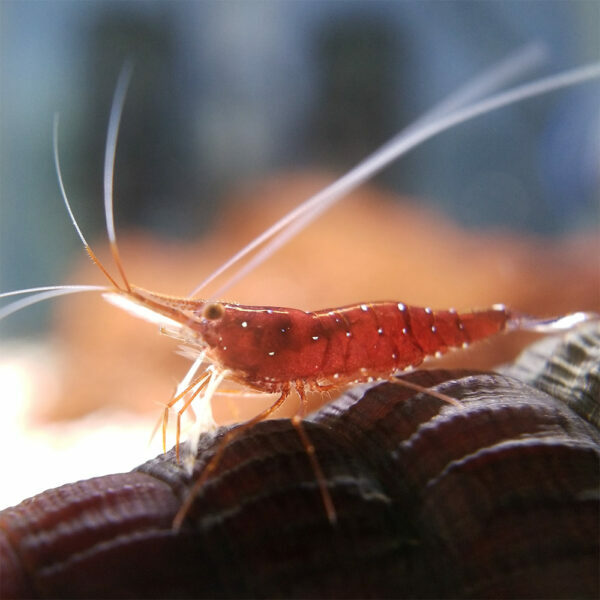 Cardinal shrimp are constant grazers. You’ll notice you can actively see their arms searching for organic matter to feast on. Their almost constant and frantic movement is definitely part of their charm! 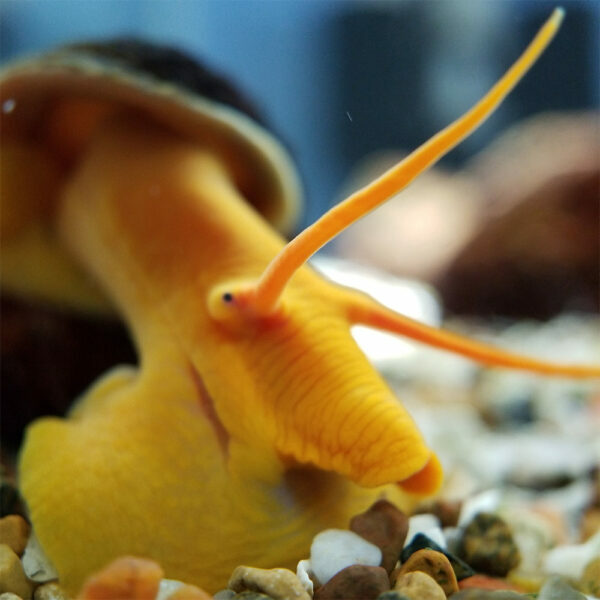 WHAT DO THE SNAILS EAT? : Snails are scavengers by nature and will eat almost anything. 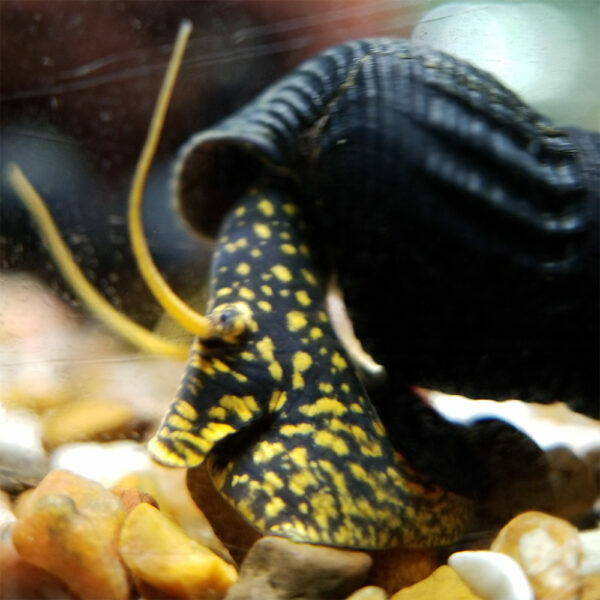 These include the naturally occurring bio-film in a healthy and cycled tank, algae, fish food, dead tank mates and any waste by products from other tank mates. 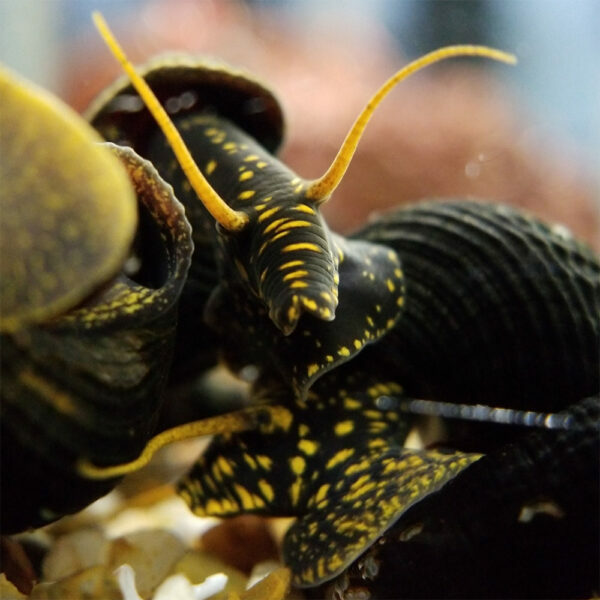 More about CARDINALS SHRIMP & RABBIT SNAILS : These two species seem to have a symbiotic relationship in our established colonies and thrive when paired together. You’ll notice no sort of apprehensiveness at all and both co-exist perfectly. Snails love protein rich pellets and will grow up to three inches in total length when mature. They end being giant snails! Once mature they’ll produce one identical offspring at a time with consistent, heavy feedings.